hi there probably a silly question but should i go as heavy as i can with the weight as long as i keep good form for the 3x8? Depends on your goals ? Keeping good form is always a good idea tho. yes, and if you can't manage to do the final few reps with the heavy weight without 'cheating' then pick up a lighter weight and finish off. wow looking awesome there !! 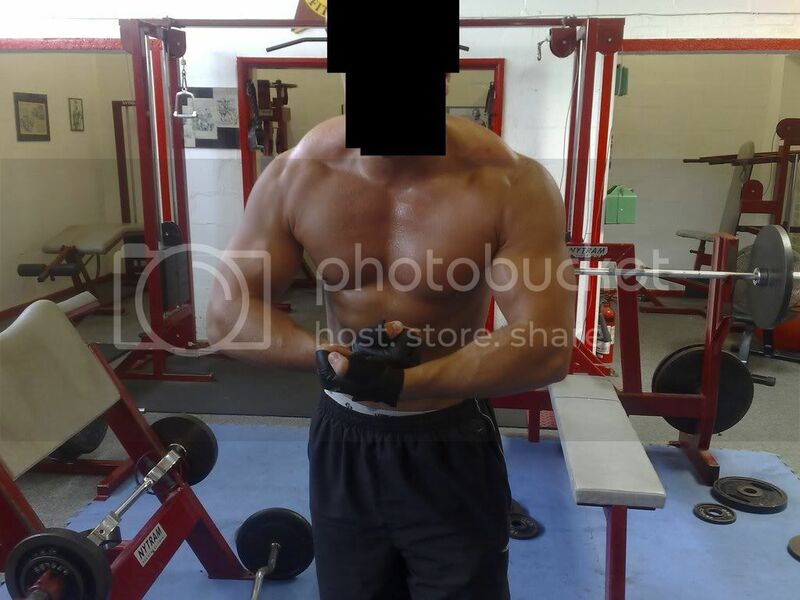 if i got to this size how do i stay there and not get much bigger or smaller ? once you get to that size you prob want more i did, lol. cheers col, i take about a gram per pound of protein now and 25g of creatine after training is that ok? how long would it take for a pretty fit descent build 17year old to get that size of you in first pic? obviously hard question as it depends on lots of things but on average ? yep it was 5g of the old stuff i had but this new stuff i have is 25g per dose i havent been training long but i was already pretty fit because of sports etc.. im looking ok nothing massive or anything but i have a good shape to be able to work on. why is it hard to be strict at 17 what do you mean? woo aint 25g of creatine to much? fought 10g max. i dont really know aint had it for a year. if you got good diet, decent training pushing your self, and your in good shape already, it will take you about 2-3 years toget some good size. hi col thanks for reply the creatine is by body fortress and it is 25g a scoop which it says take once a day. only thing that will let me down is diet as im the most fussy eater ever , i eat fish,chicken chips ,pizzas ( not so good lol ) fruit but no veg because i hate it i dont like salads eggs well lots of things really. i have the odd sweet and chocolate bar, dinner at college is a sausage roll and crisps etc that i buy there but i could take more in from home if needed. i eat fairly good but dont put much weight on really ( im not fat or anything ) any diet ideas for such a fussy eater? wow, erm lol. you like your meats? eat meat or fish, with pasta or rice? try eat some veg at least once a day. portion of meat or fish, carbs... oatcakes, potato, pasta, or rice. chickens ok, like pasta with bolognaise.